I’ve been eerily quiet over the last few months, for reasons that will be explained in a later post, but a recent disturbance in the personal finance universe startled me out of my hiatus. The now viral post starts with such a simple, potentially innocent statement. A statement that could’ve led into an explanation for how the writer is struggling to make ends meet but pursuing her dream of being a [enter your millennial cliché here] or perhaps a more personal finance friendly tale about not saving because she’s so aggressive with debt repayment (still a bad idea). Alas, neither of these theories played out in the subsequent 856 words. My fellow millennial spewed on about her justifications for why only reclusive squares have savings accounts in their twenties. Or as her article is so boldly claimed: “If You Have Savings In Your 20s, You’re Doing Something Wrong”. As a fellow writer, I can only hope she’s paid based on clicks and that her sensationalist headline is an effort to secure a hefty paycheck. However, after reading through this article more than once, it’s likely my peer truly believes we 20-somethings should fritter away our salaries on #YOLO and indulge in all the hedonistic pleasure our salaries can cover. Or maybe dip into a bit of credit card debt on the way? Obviously your thirties are for getting your sh*t together. Before I respond to Ms. Lauren Martin’s article point-by-point, it’s important you know a little more about me. Even long-time readers of this blog won’t know a lot of this story. The moniker Broke Millennial has never accurately described me. Instead, I picked it as a nom de plume (I originally wrote anonymously) that I believed appealed to and often described my generation. I fell in love with saving money at an early age. In fact, I’m pretty sure it’s coded into my DNA. 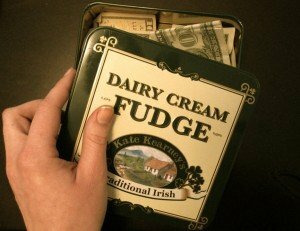 I stuffed cash into candy tins and hid them in my closet. Eventually I upgraded to a bank account. I was scribbling money goals into my notebook by fourth grade. Embarrassingly, I wanted to have $16,000 saved up to buy a red Mitsubishi Eclipse by the time I turned 16 and could get my driver’s license. My moneymaking capabilities took a small detour when we moved overseas and I couldn’t work on the books. Summers were spent traveling around America on home leave visiting friends and family (tough life, I know). Without a work visa, my younger sister and I created some entrepreneurial endeavors such as an obviously unlicensed pet-sitting business and a baby sister’s club. We had some stiff competition from legitimate hired help (nannies and maids) many families in our expat community used. But we both got the taste of building businesses and making money. Fast-forward to college and I had elected to go to school on scholarship so I could come out debt free. This made me determined to build a nest egg during school, so I could pursue my dream of moving to New York City without having to ask my parents for money. So, I got a job as a resident assistant (yup, I was that person). During this time of life I had very few expenses. I paid for insurance and all other costs associated with a car (but no loan, it was bought outright). I paid for my cell phone. Otherwise, money was mostly for road trips and going out with friends. I didn’t need the resident assistant money to make ends meet or pay for school, so I started squirreling it away for my “New York City” nest egg. I wanted to save $10,000 by the time I graduated so I could move to the Big Apple with some breathing room. Just like Ms. Martin, I too moved to New York after college graduation. I also still live here (4.5 years later) and have spent my twenties exploring what the city has to offer. Unlike Ms. Martin, I do not remotely feel that living in New York City (or any place else) during your twenties requires that you make it rain and scoff at the idea of saving. Not to be melodramatic, but history isn’t made by those out bar hopping in New York City in their early twenties, spending a month’s worth of groceries on buying a few rounds, then drunkenly hailing an Uber and screaming YOLO when it’s 3x surge pricing. History is made by those will to take a stand against the status quo. Those trying to better the world around them. Those mindfully contributing to society. History is made by people like: Malala Yousifazi, Mahatma Gandhi, Rosa Parks, Clara Barton, Martin Luther King, J.K. Rowling, Oprah Winfrey and Warren Buffet. Yes, women and men like Kim Kardashian and Jordan Belfort (the Wolf of Wall Street) temporarily imprint on society and undoubtedly would nod and smile in agreement with Ms. Martin’s article. The landscape of modern consumption is also changing by people Ms. Martin would undoubtedly deem cheap. Enterprising individuals who have undeniably started to make their marks on the world by creating wealth and then being able to unplug from mainstream jobs to live their lives on their terms and inspire others to do the same. Broke Millennial responds: First, Ms. Martin fails to understand a basic mathematical concept rightfully dubbed the eighth wonder of the world, but formally known as compound interest. Let’s say you start squirreling away $200 a month on your 23rd birthday and do it consistently until your 30th birthday. Certainly no small sum. But let’s see how much that will be by 65 (an average retirement age). Figuring a conservative average return of 7%, that $16,800 saved in your twenties would be worth $179,366,57. Get a return of 9% and you’re looking at $342,954.66. Not chump change for a small habit in your 20s. Calculate for yourself here. Saving $200 a month also doesn’t mean you have to stop networking. Going out with co-workers doesn’t come with a $200 coverage charge. In fact, that $200 would be better spent on a seminar to learn how to negotiate. Negotiation is what will truly help get those big raises. Second, she assumes people quietly building a nest egg aren’t betting on themselves. In reality, people amassing stealth wealth (as fellow blogger Financial Samurai) calls it, can create opportunities to be financially independent and explore whatever project they see fit. Perhaps the argument is that you need panic, a lack of money and to be hitting near rock bottom in order to get the best out of an entrepreneur. That may work for some, but not everyone needs to be hanging on by the skin of their teeth in order to find success. Broke Millennial responds: Umm, funds in the bank mean I can have experiences without going in debt, worry about making rent or draining my last few hundred dollars to go make a memory. My savings habit (and a lot of frequent flyer miles from growing up as an expat) meant I got to book a spontaneous trip to France in college. I could book a trip to Texas on two weeks notice to visit my best friend just because. I can buy tickets to Broadway shows without waking up at 7 am on a Saturday for rush tickets. I can spoil my loved ones with shared experiences or nice gifts. All this comes without the pain of worrying about going overdraft or only being able to pay the minimum due on my credit cards. Broke Millennial responds: Got me there! You can’t take it with you. But having money remaining and no debts means your family doesn’t have to pay for your funeral. It means you can leave assets to your loved ones or charitable causes. It means there are no lingering debts to burden those already stricken with grief about your passing. Broke Millennial responds: Listen, I love a good Parks and Rec reference as much as the next person, but why do we keep equating saving to deprivation?! Saving money doesn’t mean you’re just clocking out of work to return home, log into your bank account, cackle with glee then sit in darkness until you head back out to work. Broke Millennial responds: If you can only save a few thousand, you’re doing something wrong. Sorry, perhaps that snarky response comes from a position of privilege. However, I will say your 63-year-old self who wants to retire would certainly appreciate the difference in saving $200 a month through your twenties verse waiting for your thirties. Just saving $200 a month for 40 years, with no additional increase, starting at 23 (and a 7% interest rate) means $482,119.16. Waiting until you’re 33 cuts that more than in half to $228,228.34. And put money in a 401(k) for heaven’s sake! It’s absolutely excellent advice. In fact almost the entire personal finance blogging community is based on the notion of spending less and making more in to build wealth quickly. Ms. Martin may not like to save, but she does seem to be equating spending more with making more. Does she truly think making more money means she won’t succumb to lifestyle inflation and continue spending her paycheck? Saving in your 30s? Psh, let your 40-year-old self deal! You should invest in yourself. You should buy professional clothes to wear to a job interview. You should do happy hours with co-workers and go out to lunch with a mentor and probably not alienate yourself entirely from your company culture. But this should not be used as an excuse to sink into consumer debt or live in a state of arrested development trusting your future self to clean up the mess. After all, how long are you going to be okay squandering your most precious commodity in exchange for a paycheck? Saving is the only way to remove the golden handcuffs. My fellow millennials, please, don’t be a 20-something idiot. Thanks so much for posting this. I’m a 30-something who probably doesn’t quiiiiite qualify as a millennial, but these points still resonate with me. I spent the entirety of my 20s traveling around, working various low-paying jobs, and generally trying to ignore money as much as possible. I value the experiences I had during that time, but I also realize now that the financial cost was much larger than I understood at the time. This is actually the first time I’ve been to your blog (I found it because I heard your interview on the Economic Rockstar podcast and thought it was great). But I’ll be back for sure! Thanks for stopping by! It’s great to hear that someone who lived through this agrees with the advice to save in your 20s. Have a great week! So fun to go on a rant about idiotic thinking. A continuation of, ‘you cannot take your money with you when you die’, is it is a good idea to save enough so your kids do not have to take care of you and miss out on saving for their future to pay for your nursing home. 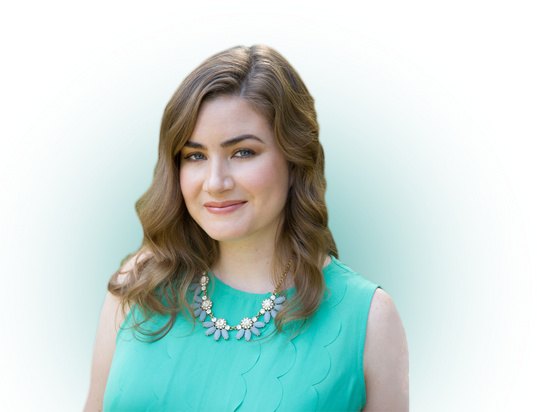 I am not sure about the author Lauren, but for me, I would love to have so much saved that I set up my kids or their kids for the future by leaving them savings. It is the difference in mindset between lower and middle class and the wealthiest. Set-up the next generation and it starts with one. It’s unfortunate that long-term care insurance is getting so expensive, but it will really need to be all squirreled away in savings. I agree about wanting to save to set up the next generation. I just don’t get that she keeps harping on a few thousand. You can save WAY more than a few thousand in your twenties, even just doing the $200 a month she scoffed about. 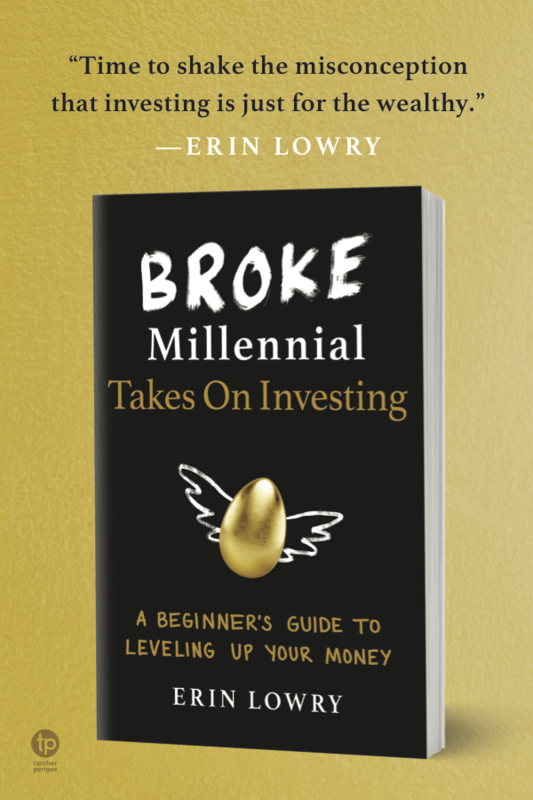 Like, who are all the authors of Broke Millennial, Erin only? Hi Doug – Thanks very much! I’m the only author. On a very rare occasion there will be a guest post, but you’ll see that written at the very top. I am glad that I am financially knowledgeable because my husband is an accounting graduate and I read financial blogs to keep updated and informed. Everyone especially parents should at least know how to manage money the right way and read blogs so that they know what must be taken care of such as health insurance and emergency or retirement fund. Health insurance is such a beast too. But you’re right, it’s very important to build a basic knowledge base about money. I know you were on hiatus and I missed you and it’s for posts like this that I REALLY missed you!!! Brilliant! Awww, you’re making me blush! As a small credit union, we are always looking for ways to better connect with our younger members. Do you have any advice on building relationships with millennials to help them better manage their finances? We’d love your input! I love this, so much (and your snark). I kept staring at that article in disbelief as I read it. As someone who also loved to save money from an early age, I’ll never understand that mindset. (I’ll embarrass myself too – I totally wanted an Eclipse growing up.) I seriously wish people would stop associating saving with deprivation. Saving gives you choices, how is that in any way depriving yourself? This was such a great read! I loved the Frank Underwood quote. When he said that one on HOC, I secretly high-fived him. As long as she practices what she preaches, I can’t wait to read her retirement article: “I wish I saved in my 20’s – I did something wrong.” Having fun and being responsible aren’t mutually exclusive. Thanks Broke Millennial! Great post! Saving is very important. Save money as early as possible. By saving you can go and do whatever you want when you want to retire. Thanks for this wonderful blog. I love reading this post. Unfortunately, there are plenty of fifty-something and sixty-something idiots who still live by the same philosophy. Guess they’re hoping for a magic rich uncle to appear, die, and save them from themselves in retirement. I read her article. I get that you want to spend time and money, but I cannot believe that you wouldn’t have a savings. We haven’t had the money to put away because of having a baby and things come up. Thankfully I got a nice refund and it’s staying in the bank. I also guess it depends on where you are in life. You did a great rebuttal. If I had time, I’d read through more comments. I wonder if anybody agreed with her. Having a child and being a millenial means I don’t go out as much and we spend money in diapers and formula. Interesting though…. Yes, emergency funds are so important, especially if you have kids! Thanks for stopping by, Michelle. This is by far my favourite of your blog posts. Most of the times when you see people blowing their money for instant gratification, it becomes difficult to look at the bigger picture and keep going strong. But your post is almost like a clarion call to say “Soldier on, this is the good path”.